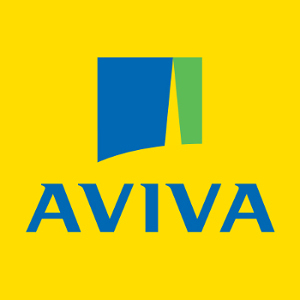 Aviva is the largest provider of insurance in the UK and have 34 million customers worldwide. The brand was launched in 2002, but the company has a legacy spanning over 300 years. You can get a quote at the Aviva website. Unlike most other insurers who offer different tiers of cover (e.g gold, silver and bronze or basic, classic and premium etc. ), Aviva only offers one type of cover, with option for Single Trip or Annual Multi-Trip. While this means you can’t choose the level of cover for cancellation and lost baggage, Aviva do provide the option to choose whether you want to include baggage cover at all, as well as other optional extras such as winter sports, travel disruption and extended stay cover. Click here to get a travel insurance quote from Aviva. Aviva have quite an extensive list of exclusions, and so it is highly important to review the policy documents carefully and understand exactly what is and isn’t covered under the Aviva travel insurance policy. Cover for certain medical conditions can be provided on top of your basic quote – you will have to fill in an online questionnaire relating to the circumstances of your condition. Aviva will then decide whether they can provide cover, and what extra premium they require. It is possible you will need to call them directly to obtain a quote, as they may need further information about your health. When seeking cover for pre-existing medical conditions, it’s important to always disclose all the details fully and honestly, and to review through the terms and conditions carefully, to make sure nothing about your personal medical circumstances that could invalidate any potential claim. At the time of writing, Aviva offers a 10% online discount that applies to the core cover of the the policy but not to add-ons. At the time of writing, they offer a 20% discount on annual policies for existing customers. Visit Aviva's website to get a travel insurance quote tailored to your own circumstances. Aviva is an established, well-respected brand. That said, their quote process could be easier to navigate and the lack of choice when it comes to cover level may not suit everyone. We couldn't find any reviews of just Aviva's travel policies but on Trustpilot, the company scores 1.1 out of 10 based on over 500 customer reviews. Fairer Finance, a service set up to help consumers choose the best financial products, ranks insurers based on what customers think of the brand, how good they are at handling complaints, and how transparent they are. Aviva is ranked 24th out of 54 in the Travel Insurance category, with an overall score of 53% (averaged from 59% for happiness, 50% for trust, 68% for complaint handling and 38% for transparency). Defaqto gave Aviva’s multi-trip and single-trip travel insurance 5 Stars (“an excellent product with a comprehensive range of features and benefits”). "Easy to see what the deal was. Easy to buy. Good price." Get a quote from Aviva Travel Insurance.